There's no better way to make mom feel special on Mother's Day than spending the day with her. What if you and mom spent the day together while getting a CoolSculpting® treatment? Well, that's exactly what mom, Ana, and daughter, Melissa did! This lucky pair spent the afternoon with Dr. Grant Stevens, freezing away their stubborn abdomen fat, and we caught it on camera! Watch Ana's and Melissa's full treatment to see what to expect before, during and after the CoolSculpting® treatment. Dr. Stevens, shows us how this COOL treatment works while answering questions about what to expect from a CoolSculpting experience! Take a peek into a real treatment and read answers to the Frequently Asked Questions. Before getting a CoolSculpting® treatment, it is highly recommended that you visit your physician to determine if you are a candidate. Dr. Stevens assessed that Melissa was a good candidate for this CoolSculpting® treatment because she had subcutaneous fat (fat you can grab or tug on) and realistic expectations. Every body is different, which is why it is important to set proper expectations with your treating physician before getting a CoolSculpting® treatment. Treatment times vary depending on what part of the body you are having treated. The majority of treatments take 35-minutes per treated area, allowing enough time for a quick show or to take a snooze before you head back to work. Other areas, can take 45 to 60 minutes. Many practices offer the opportunity to have multiple areas treated in a single day! The most common areas treated with the FDA-cleared CoolSculpting® treatment are the abdomen, love handles, back fat, bra fat, outer or inner thighs, and upper arms. What area(s) would you have treated? CoolSculpting® is a FDA-cleared, safe and effective way to reduce fat by delivering precisely controlled cooling to gently and effectively target the fat cells underneath the skin, a process known as cryolipolysis. Treated fat cells are crystallized (frozen), then die. After your CoolSculpting® treatment, your body naturally processes and eliminates the dead fat cells, leaving a more sculpted you! Remember, CoolSculpting® is not a weight loss procedure, but a nonsurgical way of reducing the fat in those stubborn areas that are resistant to diet and exercise. After a CoolSculpting® treatment, patients can expect up to 20%-25% reduction of fat in the treated area, but it is important to remember that CoolSculpting® is NOT a weight-loss procedure. How Long Does it Take to See Results from a CoolSculpting® Treatment? CoolSculpting® patients begin seeing results from the treatment in as little as one month, but the final results are apparent at around three months. Many patients opt in for multiple CoolSculpting® treatments in multiple areas to reach their body sculpting goals. 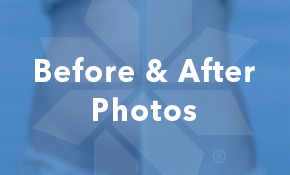 Check out some before and after pictures of real CoolSculpting® patients to see some COOL results! Since the CoolSculpting® procedure is so personal, there are many factors that determine the cost of treatment! Once a treatment plan has been decided with your provider, you will have a better idea of how many treatments you need and how many different areas you want treated. These factors will determine the price of your CoolSculpting® transformation along with your geographic location and your chosen practice. The best way to determine the price of for your treatment plan is to get an in-person consultation with a nearby provider. Generally, the cost for CoolSculpting® can range between $2,000 - $4,000 and can be as little as $300/Month*. Now that you have seen a two woman treated with a CoolSculpting® treatment, you should feel confident in answering, "how does CoolSculpting® work." Are you ready to find out if you are a good candidate for the treatment? 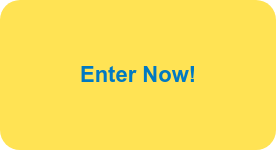 Take this short quiz to help determine if the CoolSculpting® treatment is right for you. Next, you'll want to meet with a CoolSculpting® clinician in your area to come up with your complete treatment plan. With this unique treatment plan, you'll be one step closer to achieving your body sculpting goals. With the assessment out of the way and treatment plan established, you can set up an appointment for treatment, so you can kiss those pesky bulges goodbye! *Subject to credit approval. No prepayment penalty. Minimum monthly payments required during the promotional period (“promo”). Making minimum monthly payments during the promo will not pay off entire principal balance. Interest is billed during the promo, but all interest is waived if the principal balance is paid in full before the end of the promo. Payment amounts assume full credit limit is spent immediately following approval. Fixed APR of 26.99%. For each $1000 financed, 12 payments of $22.50 followed by 54 amortized payments of $32.17. Recommended payment of $300 per month for 12 months is an estimate of monthly payment to pay principal balance for a purchase price of $3600 in full before the expiration of the promo. Allergan is not responsible for any aspect of the patient financing. All questions about the financing terms should be directed to GreenSky Patient Solutions®. GreenSky Patient Solutions® Loan Program financing is provided by participating lenders that are federally insured, federal and state-chartered financial institutions providing credit without regard to age, race, color, religion, national origin, gender, or familial status. GreenSky, LLC and its wholly owned subsidiaries service the loans on behalf of participating lenders. NMLS #1416362. GreenSky Patient Solutions® is a registered trademark of GreenSky, LLC. All rights reserved. COOLSCULPTING® and its design are trademarks of ZELTIQ Aesthetics, Inc., an Allergan affiliate. Allergan® and its design are trademarks of Allergan, Inc. © 2019 Allergan. All rights reserved.